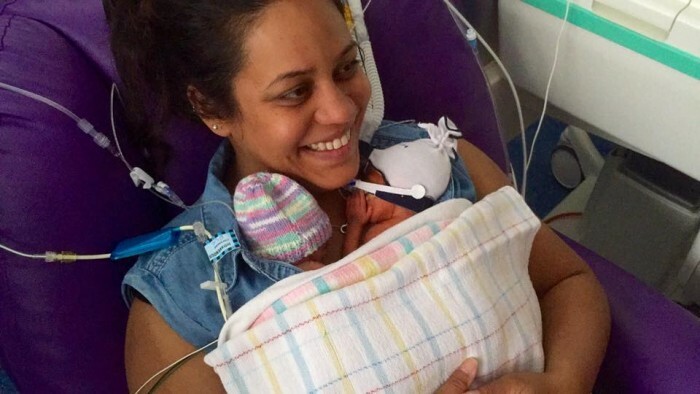 Premature twins, Kristiana and Kristian, were born in Australia on January 4 at just 28 weeks and 1 day gestation, and weighed less than 2.2 pounds each. A recent video showing the twins holding hands has gone viral. 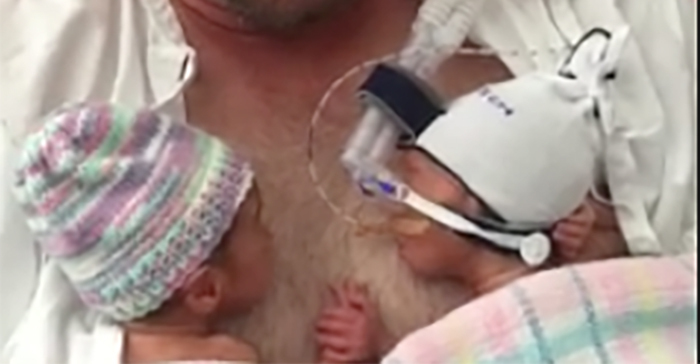 The video, which shows the twins cuddled up to their father in a kangaroo hold, has been viewed by over 8 million people since it was posted on January 13. Kristian reaches over to hold his sister’s hand, and his parents feel that it’s as if he is showing support to his sister and letting her know he is there with her. The twins with their mother. I’m sharing photos and videos for the simple reason that it gives hope to all parents out there that even they do just fine! I googled like crazy looking for hope when we told we might be [premature]. I would love to see this kind of positivity as a mum that faces the possibility of a premature baby. To all parents that face this, be comforted in knowing that today anything is possible and your babies will be just fine!!! The current age of viability for premature babies is 24 weeks, and many will face challenges as they grow. But as technology advances, more premature infants are surviving and living healthy lives. Kristian and Kristiana are doing well. More videos of the twins can be seen on Jackson-Rushford’s Facebook page, and they include more adorable hand-holding.